Do I really need a Safe? You need a Safe You just don’t know it ! Most people have items that they need to protect from a fire or burglary. Statistics show that if a companies records are lost in a fire, 17% can no longer furnish a financial statement, 14% suffer a reduction in credit rating and 43% go out of business completely. No home or business is safe from fire. Your vital records and possessions are only as safe as the quality of protection you provide for them. With a quality Fire Resistant Safe, you can be confident your records will survive. Individually people don’t realize they need a safe for their own personal valuables until it is too late and something very important to them is lost in a fire or stolen in a burglary. Where do you keep the title to your car, old family pictures, your will or other important papers? You can’t hide valuables from a fire and unless properly protected, a fire can destroy them in no time at all. What about your jewelry, cash, guns or other valuables? Are they just stashed in a drawer or cabinet which a burglar would find easy to break into? Your vital records and valuable possessions are only as safe as the quality of protection you provide for them. Is my safe deposit box at the bank the best place to keep my important papers and valuables? Many times a Safe Deposit box at the bank isn’t the best option to store important papers or valuables. If you need quick, convenient access to your important papers and valuables, a quality home safe can be a much better solution. Convenience is a big factor. Who has the time to run to the bank when you want to wear that special jewelry or watch for a night out? What happens when you want to work on important papers (deeds, wills, etc.) on the weekend? Getting to the bank during these times may be impossible, but your safe is always right there where you need it. Also, there are costs to consider. How much does annual rental for your safe deposit box cost? A quality safe will protect the items you treasure for a lifetime, with no annual rental fees. We get this question all of the time. Let’s start with the purpose for your safe. What kind of items do you need to protect (papers, valuables, guns or media) What threats are you trying to protect them from (theft, fire , burglary) It is important to get the right safe to provide the specific protection you need. A Certified Safe Expert can help you think through which combination of features will serve you best and what size safe you really need. Does it matter where I go to buy my safe? Absolutely! Buying from a company that doesn’t truly understand safes can lead you to a false sense of security. Imagine how awful it would be to have your precious possessions stolen or damaged because someone who sells furniture or sporting goods led you to believe that their “safe” was right for you. Can these people advise you? Will they come to you and professionally install your safe the right way for maximum security? Are all of their employees bonded and certified safe experts ? Is the person delivering your safe trustworthy? 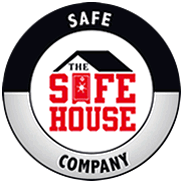 Buy your safe from certified safe experts like The Safe House. Our professionals will help you choose the right safe for your needs, install your safe correctly and be there for any service you might require in the future. The professionals at The Safe House can help you answer these questions and any others you might have. “We’re here to be the security experts for our customers,” says Mark Brasfield , Owner of The Safe House. “What we offer is solid protection that gives you peace of mind. Call The Safe House today or drop by one of our showrooms. The Safe House offers top quality security products and professional safe moving services at a great value. 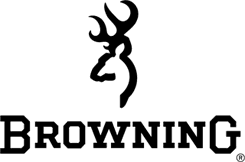 We’ve been serving Tennessee and the surrounding area since 1993. Our professional technicians are certified and well trained and can solve your toughest security problems.